In the wake of the final phase of free trade agreement (FTA) negotiations with Iran, the Ministry of Commerce has sought a comprehensive analysis of the agreement. At the last meeting, both countries had decided to carry out further deliberations in order to complete all annexes of the FTA agreement by June 2018, which would complete the technical process of final FTA for consequential approval by the respective governments. In this connection, the ministry has invited request for proposal (RFP) from consultancy firms/individual consultants to conduct a research study on Pak-Iran bilateral trade relations. 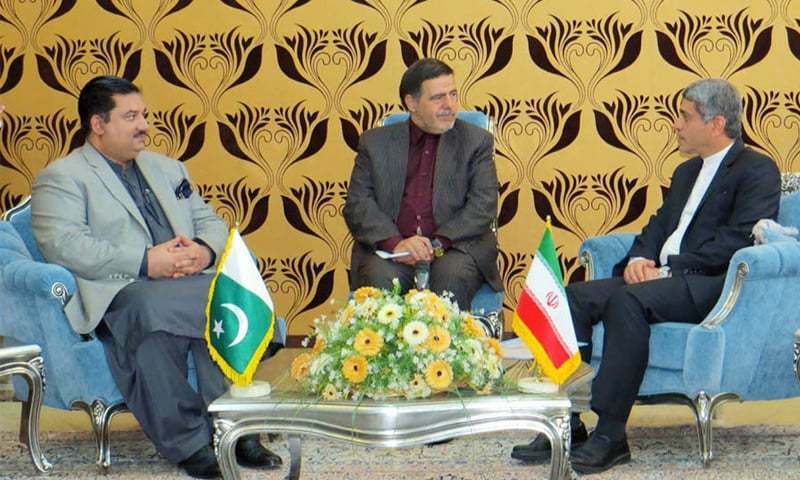 The Ministry of Commerce said Pakistan was looking forward to strengthening its relationship with Iran through enhancing bilateral trade relations. In December 2016, Pakistan and Iran started negotiating a FTA with the resolve to timely complete the negotiation process and achieve the objective of enhancing bilateral trade for the betterment of people of both countries. The talks were an outcome of a MoU signed by Islamabad and Tehran on a five-year strategic trade cooperation plan in March 2016. The third meeting of the Trade Negotiation Committee (TNC) on Pakistan-Iran FTA was held on November 21-22, 2017 in Tehran. The first meeting of sub-committees on sanitary and phytosanitary measures , technical barriers to trade and customs cooperation were held simultaneously along with the TNC negotiations in which experts discussed and negotiated on the text as already proposed by Pakistan and finalised those at the expert level. The authorised bodies of each party approved the text and referred those to their respective ministries/bodies for final clearance. During the meeting, the TNC discussed the draft of text for FTA in goods and finalised it at expert level. The two sides exchanged the final wish-lists of tariff concession on each other’s products with the objective to finalise those by incorporating them in Pak-lran PTA. According to the RFP document, the ministry has sought comprehensive analysis of international trade behaviour of Iran, sanctions relief and regional integration, Pakistan-Iran bilateral trade patterns, Pakistan’s export potential to Iran and establishment of banking channels. Also, the selected firm will have to provide an in-depth analysis of sensitive tariff lists, goods tariff lists to be negotiated, non-tariff barriers and suggest possible solutions. The research study will analyse procedural requirements, including customs procedures of the importing country, comparative study of regional trade arrangement and their implications on Pak-lran FTA and analysis and suggestion on trade remedies. The ministry has also sought a detailed overview of the existing banking system used by other key trading partners of Iran for payments.